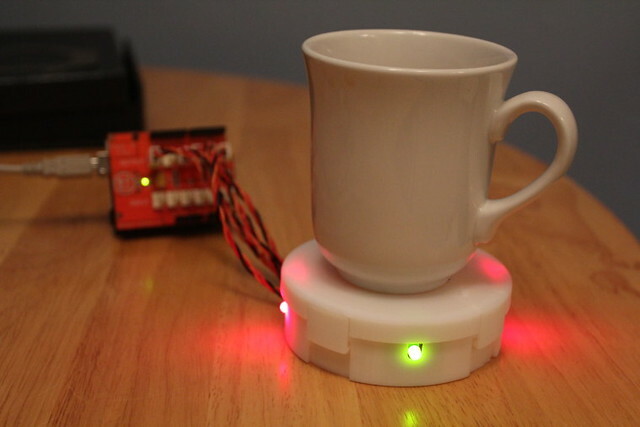 This smart tea coaster flashes lights every hour to remind him to get up and take a break from computer work. It was built over a few weeks in November 2010. All project details on the blog post and with a video too! Homesense Flashing Coaster from Homesense London1 on Vimeo. He also tried to build an Angry Bin. Here’s a video! The Bin Gimp from Homesense Letterkenny on Vimeo.